I was reading Olivia’s ‘Being Black, Female & Depressed’ post and you should too because it’s freaken awesome and relatable af. She mentions black sisterhood and how the support from black women has helped her. This post is dedicated to all the women who have shown so much love and support throughout my blogging experience so far and to all the women I have witnessed support, encourage, advise and help others. This is a huge thank you to black women. ~ We have quickly realised that we are no longer each others competition, but we’re actually each others biggest fans. There’s space for us all at the top. ~ Drawn in by our everlasting glow and curly crowns. ~ Showing the world that we are so much more than just our strength. Strutting our many qualities and personalities down the runway we all know as earth. ~ Forever showing love and support through; retweets, shares, meme’s, lovestruck emoji’s, gifs and links to the best Brazilian body wave bundles. ~ Allowing the words; Queen, Sister (Sis) & Goddess to roll off your tongue. ~ Reclaiming your body, mind and soul. Whether it’s subtly or unapologetically loud it is beautiful to see. ~ The curls, the kinks and the coils on your head that demand your love, attention and affection. ~ The swag you’ve inherited. Whether you recognise it or not, girl you’ve come from a long line of style. The same style that is admired today, unfortunately without the appropriate sources and bibliography attached. ~ We are proudly multifaceted. Black women cannot be defined and to be honest I don’t even think we want to be defined. ~ We are blessed with the ability to absorb sunlight and in return the sun blesses us with a glow and radiance, that only nature can provide. ~ Being able to see black women win is an indescribable joy. If you ever witness it, be sure to sit and enjoy the moment. ~ You’re not alone, I am also sitting here wondering if the world has gone completely mad too. 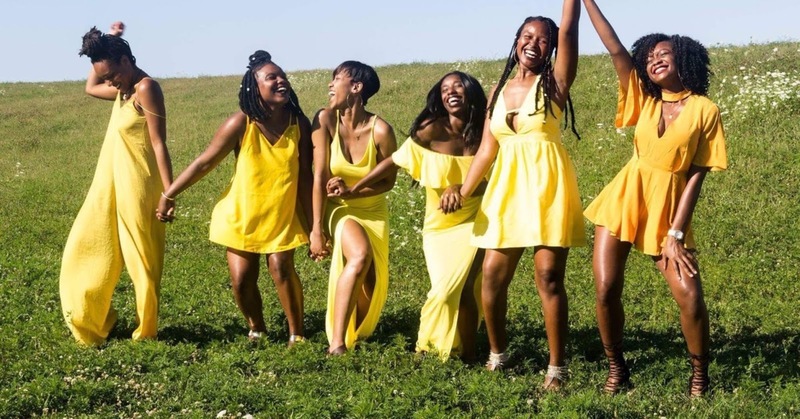 ~ Black women you’re; beautiful, powerful, gentle, nurturing, warm, strong, intelligent, full of life, golden, comforting, determined, fun, bold and so so so much more. Something short and sweet for my melaninated sisters. I see you and I appreciate every inch of you. The sense of sisterhood especially amongst certain parts of the Interweb is strong. The support and encouragement has been amazing, I have been on all ends of the if. I have seen it, received it and given it. Don’t be afraid to compliment someone, if you’ve enjoyed reading something, share it. If you’ve seen something you know others will benefit from share it, it’s all necessary and needed. Support those who support you and be honest with your support. Next Why Is The Black British Struggle Ignored?